USD is losing its power due to the U.S payrolls report. EURUSD is also under the influence of labour market report as well. 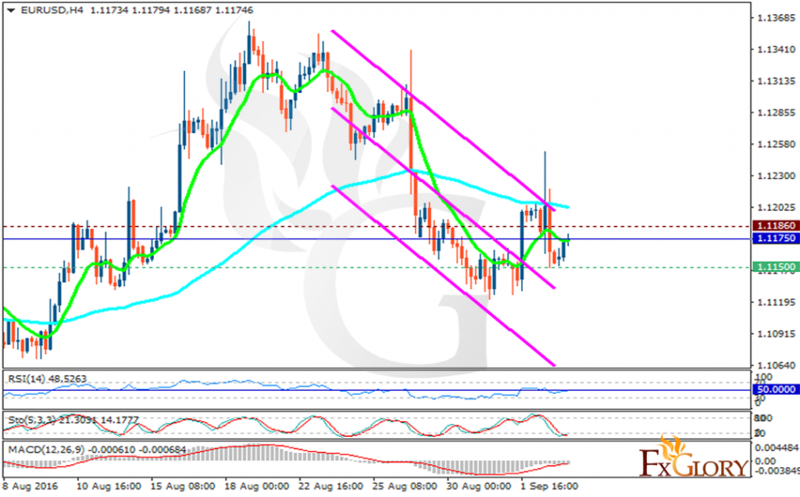 The support rests at 1.11500 with resistance at 1.11860. The price is moving on the weekly pivot point at 1.11750. The EMA of 10 is moving with bullish bias and it is located below the EMA of 100. The RSI is moving below the 50 area, the Stochastic reached its minimum rate and is showing upward momentum and the MACD indicator is in negative territory. Bearish trend is more likely at the moment targeting 1.113 area.